The thriving town of Lydney covers approximately eight square miles, and stands on the north bank of the UK's longest river, the Severn.There is also evidence that the surrounding area has been farmed since the Bronze Age. It has been suggested that the Saxons named the settlement 'Lydeney' possibly meaning either 'Travellers Island' or 'broad', referring to the River Severn.To the south, the tidal waters of the Severn, once home to the centre of travel and trade for the Coal of the forest, shipped from Lydney Docks. 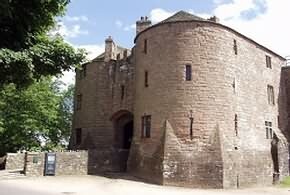 St.Briavels Castle, said to have been built for King John between the years of 1209 to 1211. 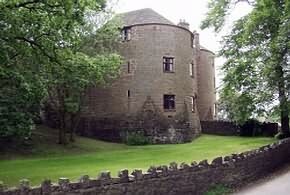 In 1292/3, Edward 1st rebuilt the gatehouse to help protect the building from Welsh attack. There has been a settlement at Lydney ever since Roman times. It is thought that Lydney Park was a significant Roman settlement with a temple, bath house and guest house dating back to the 4th century,known as Dwarf's Hill. In later years, Lydney became important for producing and transporting coal, stone, tinplate and timber, with Lydney Harbour being a small but thriving port. Today Lydney has a wide variety of shops, with Newerne Street being the main shopping area. One of the town's main features is Lydney Harbour. In 1980, the lower and tidal basins and the connecting lock were classified as a Scheduled Ancient Monument and the rest of the harbour area, which dates from the 1870's, is a rare and historically important example of an un spoilt 19th century harbour built for sailing ships. 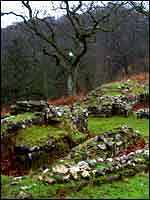 Both iron and coal were exported from the Forest, often on ships built using local oak. Until Stuart times, quite large ships were constructed at Lydney, including the 306-ton, 22-gun frigate 'Forester' in 1657 and the 620-ton frigate 'Princess' in 1660. The town was the home of Sir William Wintour, Admiral of the Fleet of Queen Elizabeth I in 1588, and many of the ships to oppose the Spanish Armada were built here. Lydney is the home of the Dean Forest Railway. WIth its famous Park Gardens and Forest Railway, it makes it a must for any visitor to the Royal Forest of Dean. There is, however, much more to Lydney than the Dock. Its excellent transport links have ensured that it is a lively place to both live and work, with a very good range of shops, a leisure centre and sports facilities, as well as a thriving business sector. There are also over 30 pubs, cafes and restaurants, serving a wide variety of meals. Lydney Rugby Club is famous nationally, as well as locally, there is an open-air swimming pool and, of course, the town is surrounded by the Royal Forest of Dean, with its beautiful walks and cycle paths. It's even possible to view parts of Lydney and the Forest from the comfort of a seat in a restored steam train, courtesy of the Dean Forest Railway. The Tourist Information point in Newerne Street, in the town centre, has much more information about the area.